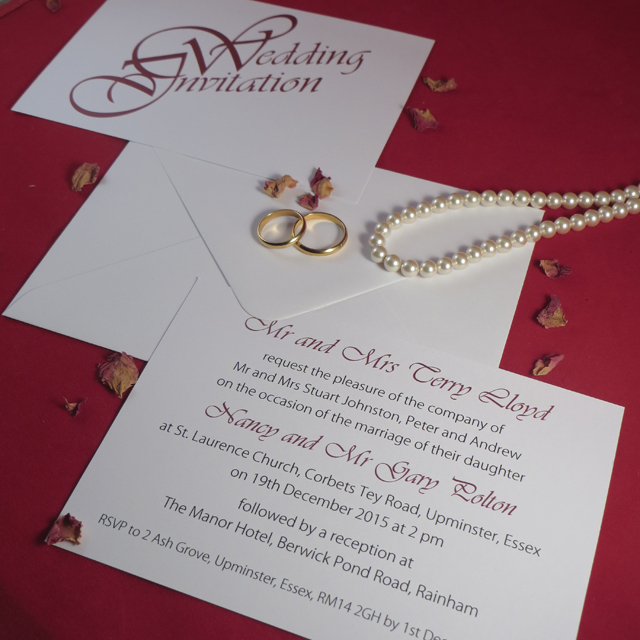 Our Elegance Wedding Invitations are crisp, clean and simple. 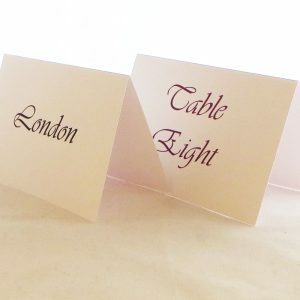 Available in any colour for you to perfectly create your own unique wedding stationery. Create your own unique wedding stationery with our Elegance Wedding Invitations. 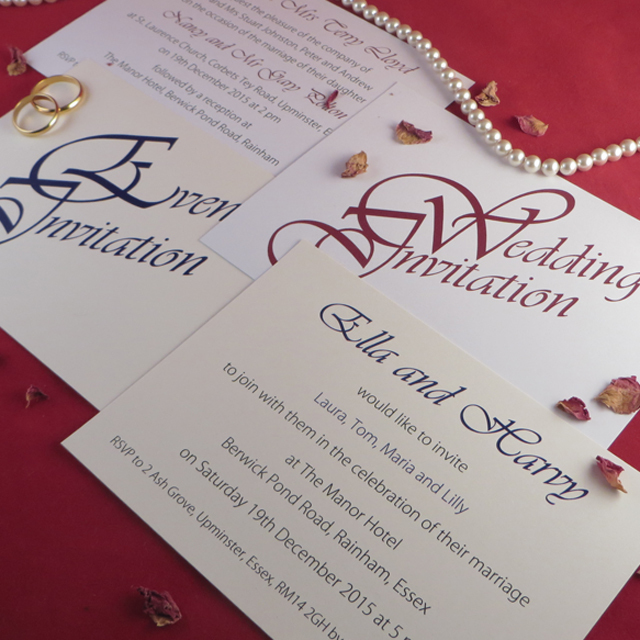 Available in any colour to match the theme of your wedding day. The wording for your invites is 100% your choice. 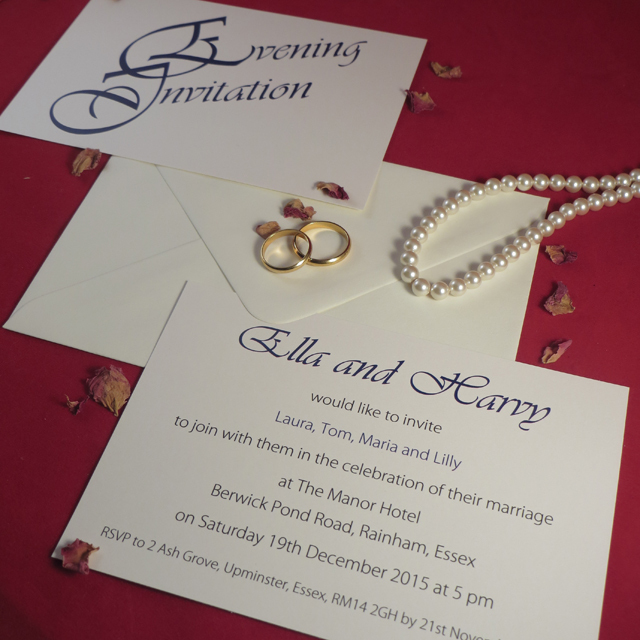 We can also individually personalise each invitation with the name of your guests at no extra cost. 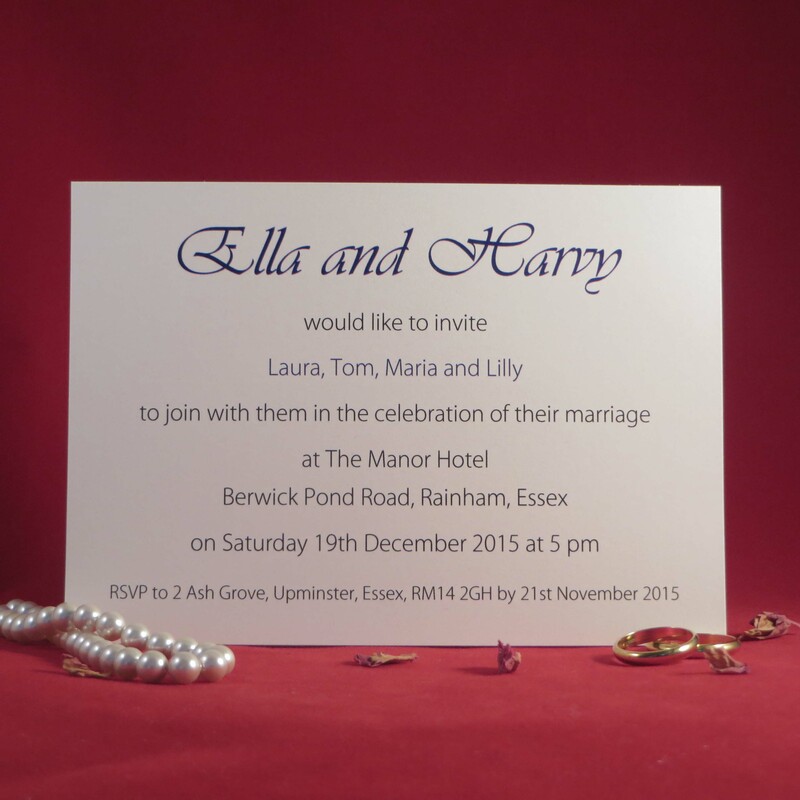 Fonts can also be changed to suit your specific requirement – the pictures here are just examples of what we can do. 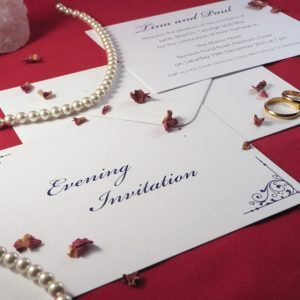 You may also split your order between Wedding Day and Evening Reception invitations. 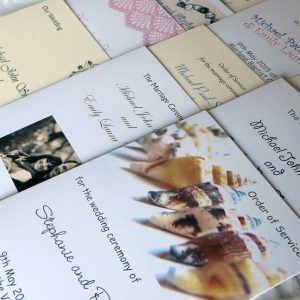 Supplied with colour co-ordinated envelopes these wedding invites are double sided and digitally printed in colour onto either white or ivory card. Finished size is approximately 14.8cm x 10.5cm. 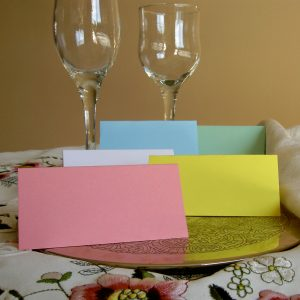 Our most popular colours include navy blue, cadbury purple, gold and burgundy. Although we are able to print a large range of colours we are unable to produce foiled, metallic or embossed finishes. Before printing a free draft will be emailed to which you can request changes. We will not print your order until you have given us your approval. This design reference is INVW04 you will need this to fill out your details. We strive towards an excellent service for all our clients and aim to accommodate wherever possible your requirements. 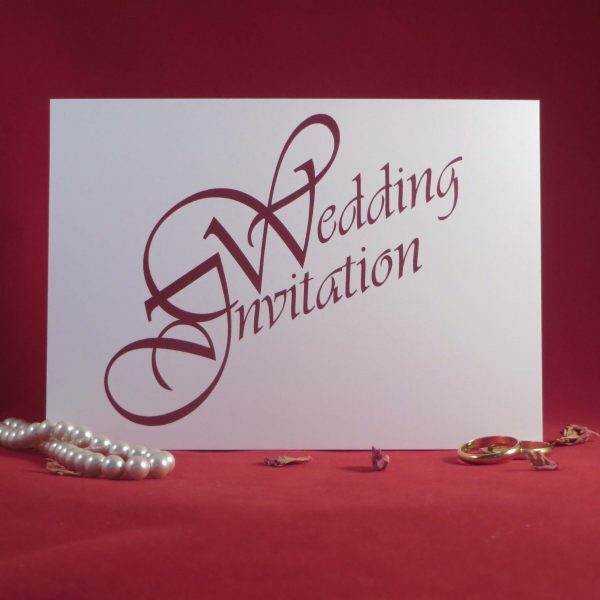 If you need your Elegance Wedding Invitations urgently please contact us before you order. These are low resolution photographs and colours may look slightly different on your computer according to your screen settings. Props used in the photographs do not come with the item. Item consists of card and envelope only. Should you have any queries please do not hesitate to contact us quoting INVW04. 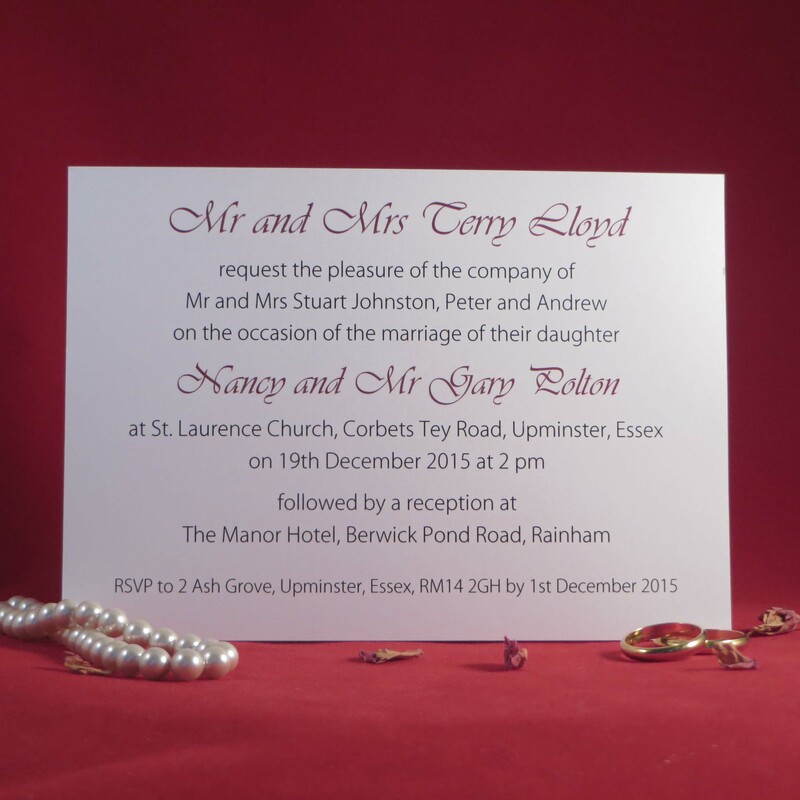 With 100's of possible print colours, just advise us of your preference and we will try to match it. 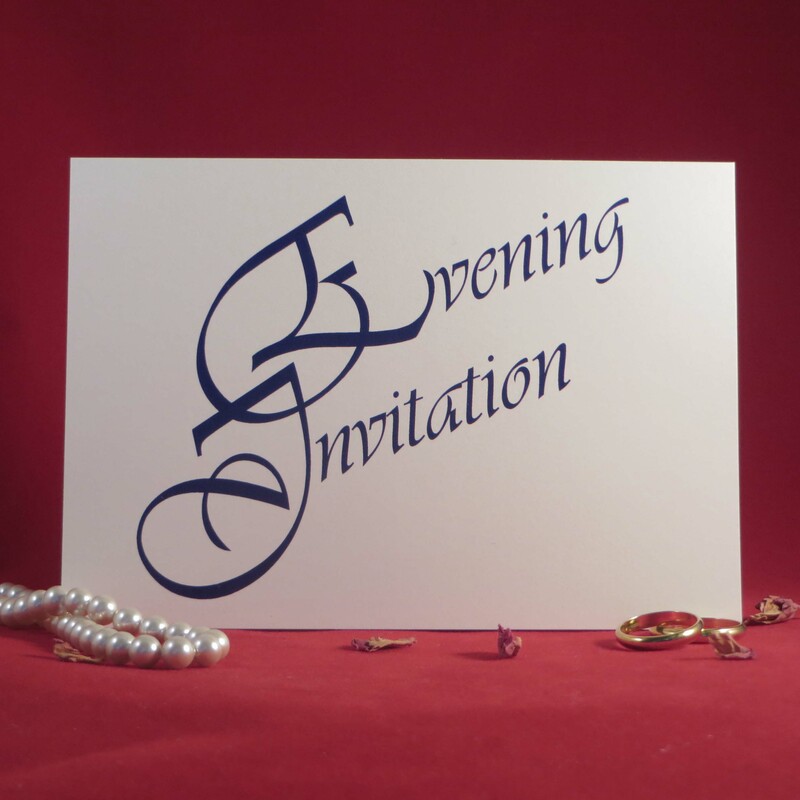 We cannot produce foil, metallic or embossed finishes.